E.D. Baker pulls out all the stops in this brilliant version of a classic tale. It's a little known fact that Sleeping Beauty's younger sister, Annie, is the one who must save the day and rescue her from the evil curse. Annie is impervious to ALL magic - good and bad - and is the only one left awake when her sister pricks that finger. 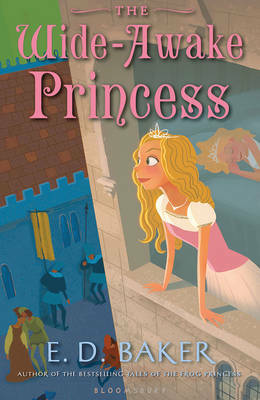 She sets off through the kingdom to find her sister's true love, the only person who can wake her and reverse the spell. Annie is joined by a handsome prince in disguise as she tackles Hansel and Gretel (and their witch), and many other fabulously familiar fairytale characters. Full of Baker's trademark humour, plot twists, and with a funny and strong female lead, this will charm fans of The Frog Princess, and bring in many new ones.